Short walk from Mayfair and Oxford Street. The available accommodation is on the 3rd floor, providing an opportunity to acquire fully fitted high quality period office space. 14-16 Beak Street is positioned on a prominent corner on the south side of Beak Street at its junction with Upper John Street. Soho offers an abundance of retail and leisure amenities as well as being a short walk from Mayfair and Oxford Street. The building a short walk from Piccadilly Circus and Oxford Circus underground stations (Piccadilly, Bakerloo and Victoria lines). In addition Oxford Street, Piccadilly and Regents Street offer numerous bus routes. 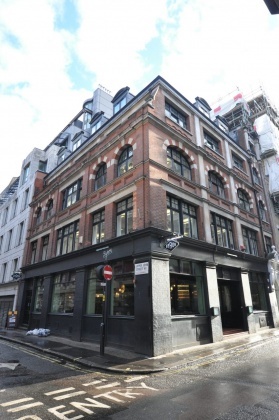 Are you really want to add office: 16-18 Beak Street, London W1F to your email alerts?